Whether you feel it not, its ………...!! Note that blinking for too long can be dangerous… when its gone … there’s no action replay. 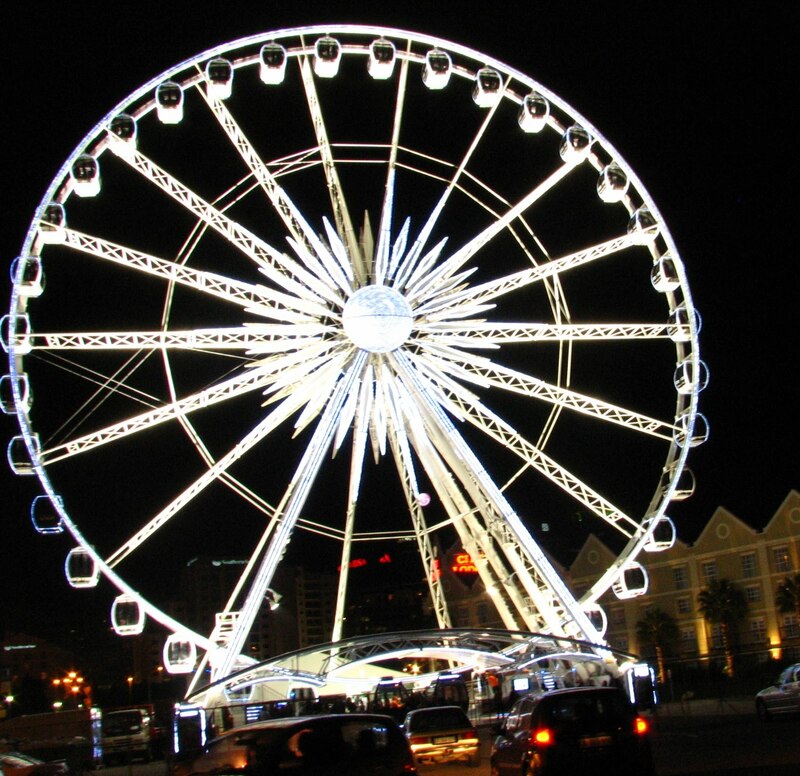 Amidst all the shmangles that comes along with the 2010 World Cup, Cape Town sports the Wheel of Excellence… A mooooooeeeerse (50m) wheel as you come into the V&A Waterfront…. and to its traveller it offers a stunning birdseye view of Cape Town. Of course I had to check out this thing! 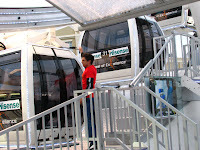 So you step into a spacy-looking capsule… dude give’s you quick run-down of some safety measures (you can actually chat to a controller in the event of some emergency), then you go round a few times with a little stop over here and there. The cabin features: a glass enclosure (so not weather dependant); two carpet-covered benches opposite each other…seating about 6 people; aircon, lighting and a TV too, of course, so special moments during a game cannot be missed. 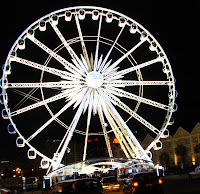 Much like a hi-tech version of the big wheel you’d visit at a local fair, the wheel offers views of the stadium, harbour, mountain and city surrounds….. BUT… yes there’s a but….if you asking me…the ride is nothing that special. What was special, however, is the visual spectacle it transforms into at night. What is impressive is that the thing is lit up with 2 million lights … and not just any lights… LED lights (very low consumption) and only uses 2 kilowatts of energy per hour. So- when load shedding comes your way during the games…. don’t blame it on da wheel ne. If you’re into the view thing though, …hint hint….I think the good old Cable Car gives a much better feel and view of Cape Town… maybe not the exclusivity the Wheel of Excellence offers or its fancy liggies, but definitely a waaaaaaaaaaaay better view of our stunning City.